Spacecom (Tel Aviv Stock Exchange: SCC), operator of the AMOS satellite fleet, has successfully completed its Critical Design Review (CDR) of AMOS-17, and entered full production. Specifically designed for the African continent and scheduled for launch in early 2019, AMOS-17 will operate from 17 degrees E to expand and strengthen Spacecom's coverage in Africa, the Middle East and Europe. It will offer extensive Ka-band, Ku-band and C-Band HTS services, combining broad regional beams and high throughput spot beams to maximize throughput and spectral efficiency. The satellite's in-orbit life is expected to be 19 years. David Pollack, president and CEO of Spacecom said that AMOS-17, equipped with the latest generation digital payload, represents the most advanced satellite over Africa and further delivers on their long-term commitment to the African market. This satellite will bring multi-band high-throughput technologies to deliver unique service capabilities not possible on traditional satellites. They are introducing cutting edge satellite technology to Africa, that combined with their customer-centric approach, makes Spacecom the ideal choice for service providers. AMOS-17 will advance their support in creating a digital Sub-Sahara Africa society. 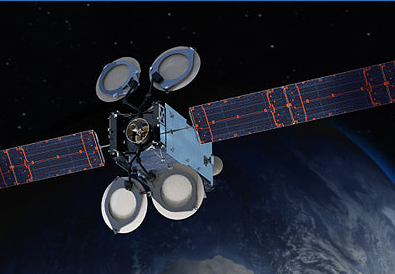 Spacecom (Space-Communication Ltd.), operator of the AMOS-3 and AMOS-7 satellites co-located at 4 degrees W, and AMOS-4 at 65 degrees E, provides broadcast and communication services to Europe, the Middle East, Africa, and Asia via direct-to-home (DTH) and direct broadcast satellite (DBS) operators, internet service providers (ISPs), telecom operators, network integrators and government agencies. With the additions of AMOS-17 in 2019 and AMOS-8 to the 4 degrees W orbital position in 2020, Spacecom will further expand its reach as a multi-regional satellite operator.